After years of experience helping clients recover from the effects of dieting, obesity, eating disorders, addictions, and disordered eating, Rebecca Cooper can share some facts that can restore our society to sanity regarding food, weight, and addiction. Ms. Cooper has a Masters in Clinical Psychology from Pepperdine University. She is a California licensed therapist, Certified Eating Disorder Specialist, and Licensed Professional Clinical Counselor. She started the first transitional living residence for women recovering from eating disorders. She is the Founder of Rebecca’s House Eating Disorder Treatment Programs™ located in Orange County, California, where she heads up a team of psychologists, therapists, registered dietitians, exercise physiologist, psychiatrist, and a medical doctor.Rebecca is the author of the Diets Don’t Work® a structured recovery program for disordered eating. This innovative program is successfully being used by recovery homes, therapists, and clients. She is also CEO of 21st Century Wellness, Inc., and was the first President of the Orange County Chapter of the International Association of Eating Disorder Professionals. 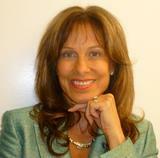 Ms. Cooper is the author of several published articles and a workbook that accompanies the Diets Don't Work® Book. In addition to recorded DVDs and CDs, Ms. Cooper also appears on television and radio to promote eating disorder awareness. Rebecca has been the guest on radio/web/television shows. She is an international speaker and conducts workshops and seminars on such topics as Eating Disorders--a National Epidemic, The Effects of Yo-Yo Dieting, Why Diets Don’t Work, Journey to Self, Understanding the Binge Cycle, and A Solution for Disordered Eating. In October 2004, Rebecca was honored as the Rising Star in Business by WomanSage©, an event sponsored by the University of California at Irvine Medical Center. The award was in recognition to her innovative approach to helping women with eating disorders and her dedicated service of helping others recover. In May of 2009, she was nominated for the Orange County Business Journal's Women in Business Award. High Fructose Corn Syrup - Not Such a Sweet Deal! International speaker, webinars, online sessions, and eating disorder treatment available. See www.DietsDontWork.org, www.RebeccaCooper.com and RebeccasHouse.org or call 800-711-2062. "All actions start with a thought. You must change your thinking to change disordered eating." "Eating Disorders are a result of disconnecting from your Self , and appetite." "We no longer know when we are hungry or when we are full. We use an external source, the DIET, to tell use when, how much, and what to eat." "We use food to avoid emotions. After awhile this becomes a hard-wired response to all feelings that we do not want to feel. " You can find more information at www.DietsDontWork.org, www.RebeccaCooper.com, and www.RebeccasHouse.org.